6.7L CUMMINS TURBO DIESEL!!!! 4X4!!!! ONE TON!!!! THIS 2008 DODGE RAM 3500 SRW SHORT BED LOOKS GOOD AND RUNS GREAT!!!! THE CUMMINS DIESEL HAS ALL THE POWER YOU WILL NEED!!!! ALSO THE QUAD CAB OFFERS SPACIOUS SEATING FOR UP TO 6,,,,, AND THIS TRUCK COMES NICELY EQUIPPED,,,,, SLT TRIM,,,,, BIG HORN PACKAGE,,,,,, ALL POWER OPTIONS,,,,,, INCLUDING DRIVER SEAT,,,,, BEDLINER,,,,, RUNNING BOARDS,,,,,, TOW PKG,,,,, TOW MIRRORS,,,,, EXHAUST BRAKE,,,,, AND MORE,,,, THIS TRUCK RIDES, DRIVES, AND HANDLES GREAT,,,,, STOP IN TODAY AND TAKE IT FOR A TEST DRIVE,,,,, FINANCING AVAILABLE!!!! 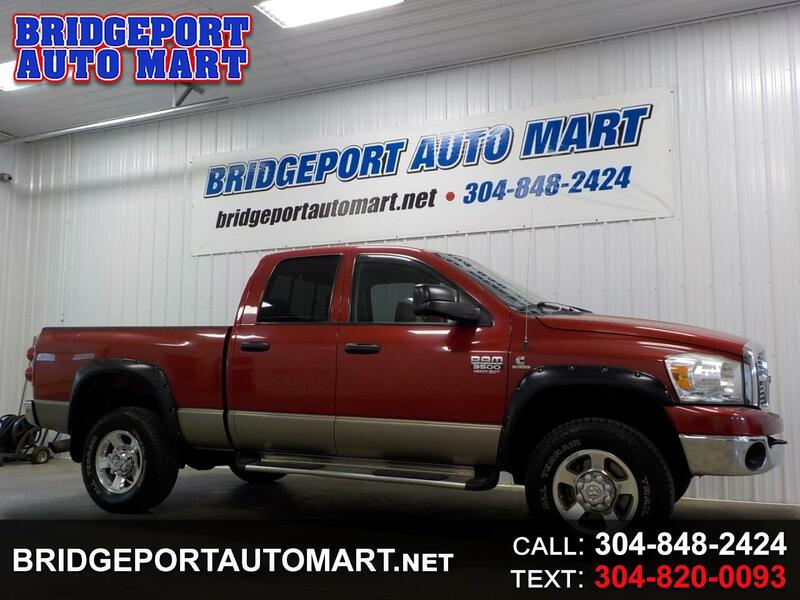 Visit Bridgeport Auto Mart Inc online at www.bridgeportautomart.net to see more pictures of this vehicle or call us at 866-497-8165 today to schedule your test drive. Message: Thought you might be interested in this 2008 Dodge Ram 3500.